Is Failure a Viable Career Option ?? So, I’ve been in my basement– or what a favorite uncle calls a Cellar—for the past couple of days. And he is correct. My desk, computer, file cabinets, eBay supplies and packaging area are down in my cellar. It is a finished basement, with comfy couches and chairs—and a TV. So I don’t mind being holed up in my cellar. I often go down there when I am serious about getting things done. Anyways, I looked at spreadsheets. I looked at bills. And I looked at potential jobs. That’s when I knew it was time to get outside. I grabbed The Little Black Dog and we headed to the beach for our daily walk. My current financial situation isn’t that hard. Just simple elementary school arithmetic. Just need to add up the money I have coming in. 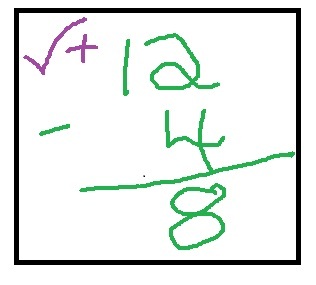 And if the sum of these two numbers is red instead of green? Scale back. Eliminate Car Payment. Done. Years ago. Hence my 13-year-old Honda Accord. Sell my house. Again, done. I rent the home the children and I live in. Protestor: You NEED to save those for your daughter. Me: Darling Daughter, how do you feel about these? Are they something that have meaning for you? Would you like me to save them for you? Darling Daughter: WHY would I want to wear the rings of FAILURE??? Many people head back to their parents’ house in times of financial distress. Not an option for me. My mother passed about 20 years ago, so I would have to pitch a tent at the cemetery to hang with her. And my father lives nearly an hour away. A little too long of a commute, considering the promise I made my children that they would not have to change school districts after the divorce. Another popular plan of attack in times of distress. Men use this one, too, but they find a woman. (Unless they are not heterosexual) Biggest problem here? I’d be counting on somebody else to bail me out. Which means I don’t bail myself out. Which means I don’t learn and grow from the experience. 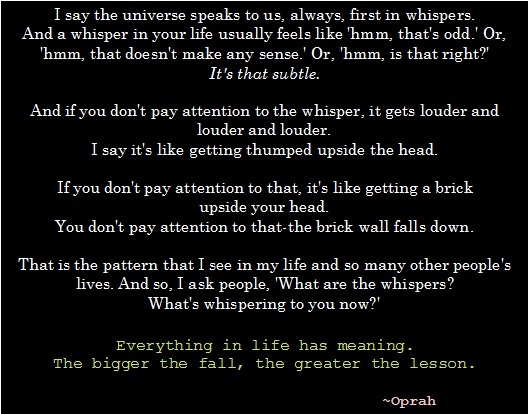 There is an old saying that the lesson keeps coming back at us until we get the brick to the head. I am ready to learn the damn LESSON already! This is kind of interesting, because nothing BAD would have to ‘happen’ to anybody. So I think I could feel okay about it if somebody wanted to set up a Trust Fund for me to draw from occasionally. And I wouldn’t be one of those ungrateful people. Nor would I act snotty, entitled or better than others. I would really appreciate it. From there, I drew a blank. Then there’s my BA in Management/Finance. Which is a bit ironic considering my inability to do elementary school math lately. Or maybe I just need more to work with. If there aren’t any beans to count, how can I be a bad bean counter, right? Obviously, I am not a quitter. Or I’d have quit a long time ago. I just need to look a little harder for ways to change my current financial circumstances. Which means I’ll be heading to the lower level of our Little White Ranch House. A Cellar Dweller for another day. I am a HAPPY Cellar Dweller, at least…and a NICE one. As ever, I am open to suggestions, if anybody out there has anything? This entry was posted in On the Job (Working Mother), The best laid plans... and tagged Failure, having a garage sale, Home Based Business, Parenting, The Best Laid Plans, unemployment by Amy Lauria. Bookmark the permalink. Love reading your work. I too think you are nice!